-Say it with a click! click here for a positive training outcome! Through Positive Reinforcement, we bring out the best in you & your dog. VivaPaws Training & Behavior is owned and operated by Vivi Myslik Jorgensen, KPA CTP - a Karen Pryor Academy Certified Training Partner and Professional Dog Trainer. We provide behavioral consultation services and private in-home dog training based on correction free, science based, fun methods you and your family will enjoy. 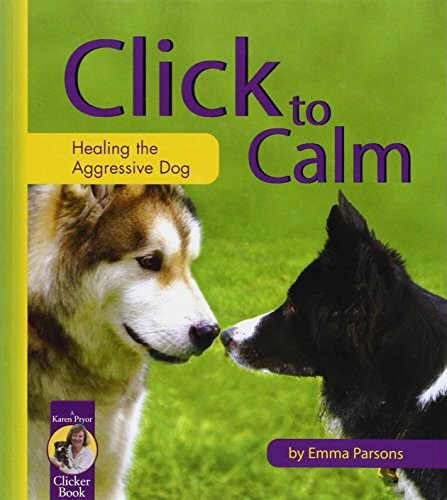 We teach your dog life skills and good manners, and YOU learn more effective ways of communicating with your canine companion. At VivaPaws, we believe in respecting a dog’s choice. Dogs only know dog behavior until we teach them a better way. They do things for a very good reason, not to be ‘stubborn’ or ‘spiteful’. They simply do what works for them and what is safe for them. Through gentle guidance, it is our responsibility to show them what we expect of them. This means giving your dog the freedom to make mistakes without fear of retribution, rewarding him in a way he understands when he succeeds, and most importantly, managing your dog's environment so that his potential for success is high. This also means that we will not use corrective devices, like prong, shock, choke, or e-collars in our training. We strongly encourage pet guardians to help create better lives for their pets by choosing positive training methods and avoid training techniques or gear that inflict pain and are known to cause stress/fear/aggression in dogs. See The American Veterinary Society of Animal Behavior’s statements on the implications of using punishment or aversives in training. We help with your New Puppy, Basic Good Manners & Behavior Problems. We understand how frustrating and stressful behavior problems like fear, aggression, and anxiety can be. Life becomes difficult and disturbing instead of fun. You’re stuck, worried, and may even be ready to give up. You need an educated professional who understands behavior and is able to give you hope for improvement and immediate relief so you can get on the right path to the life you dreamed of with your canine companion. Booking a consultation with us means we come to your home, at your convenience, to assess your dog’s environment and examine the problems you are facing to find a solution most suited to your needs. We’ll remove barriers and resolve your dog’s behavioral problems with compassion, expertise, and a positive training approach. No matter the problems you are facing, we work with your goals to get you the results you need and help you build a positive relationship with your dog. Through clicker training, we teach you a simple, but effective way of getting the behavior you want….as easy as 1-2-3! As Charleston’s first Karen Pryor Academy Certified Training Partner, Vivi Myslik Jorgensen will teach both you and your family this effective means of communication in a matter of a few clicks! It is easy, fun & smart! Clicker training is a humane, fun, and more efficient way of steering your dog toward the behavior you want to see. The clicker bridges the language barrier between us and all other animals. Your dog learns behaviors incredibly fast because the click is precise, consistent, and unique. Simply click the behavior you want to see more of and remember to pay up…every time! We provide you with a complimentary clicker, a treat pouch, and instruction in proper usage of this effective tool. Individually tailored to suit the needs of your dog and your situation. We customize a program so you only pay for what you need ! You train your dog with our guidance and a customized training program. We train your dog for you. Personal one-on-one training while you work. VivaPaws will set your dog up for success at every step. We are proud to be offering Life Skills classes based on clicker training at Charleston Animal Society! First class starts: Postponed to a later date. Update coming soon! Our focus is on teaching both YOU and your dog important life skills so that you will be able to manage your dog’s behavior in the future and prevent problems from developing. This class is not about dog performance. This class makes YOU a better handler and decision-maker in real-life situations with your dog. This class is about partnership and will open both your eyes, and your dog’s, to a new world together. Have questions relating to your dog’s behavior? We are now offering a new blog service, ‘Ask The Trainer’. Send us an email with your dog training related questions. We will pick one question, periodically, to answer and will respond in a blog post here on our site. We will choose a question we believe will be of benefit to as many as possible. To ensure your question stands out, please give as many details about your situation as possible. The more detailed, the easier it is to give a qualified answer to your problem. VivaPaws Training & Behavior was born out of passion, love, and heartache. Aimlessly searching for a purpose in life for most of my 49 years, the fact that love brought me to the United States late in life, was a blessing from the universe for sure. But having to give up a life I loved in my home country of Denmark, leaving behind family, friends, all my ‘things’, and not least my two beloved schnauzers was a major heartache. It is a known fact for most of us who don’t have kids, that our pets are our kids. Rufus and Balou, my two dogs in Denmark, were my kids. They brought me love, joy, comfort, and companionship while enduring a long-distance relationship for five years. And yet, I left them! Do I deserve dogs? We were blessed to be awarded Ambassador of the month for October 2018 through this wonderful advocacy program by the Pet Professional Guild. While we remain supportive and loyal to this initiative, we realize that we need to be just as supportive and loyal to ALL our clients. We will no longer be offering the discount for turning in submissive devices as we have restructured our rates to allow ALL our clients to benefit, whether or not they use shock/prong/choke collars. We remain steadfast in our support of force-free equipment and training methods. Karen Pryor Academy is the leader of modern force-free animal training. It is one of few Elite Dog Trainer schools in the world and has over 1500 graduates worldwide. Certified Training Partners have gone through a demanding educational program requiring continuous assessment of their knowledge, hands-on training and teaching skills, as well as work with multiple species of animals. KPA CTP’s are required to participate in annual continuing education to maintain their KPA status, and in order to provide clients with the most current, scientifically proven, and effective, dog training tools & techniques in the industry. 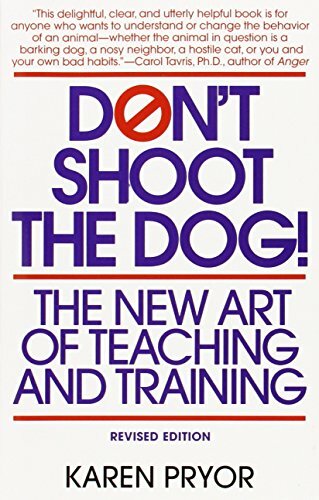 Karen Pryor is the founder of clicker training, and one of the pioneers of Positive Reinforcement, bringing science to the masses with her bestselling book, ‘Don’t shoot the dog’ (1984). As an Amazon Associate VivaPaws earns from qualifying purchases. 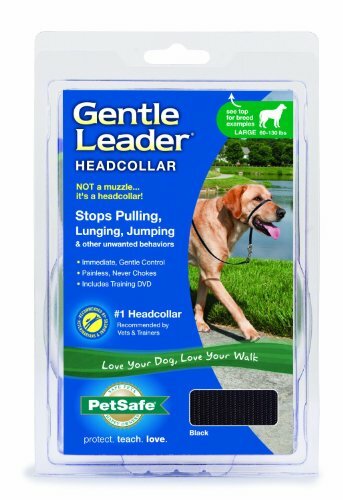 Gentle Leader Comfortable and Painless Collar, Adjustable Shoulder Strap to Enjoy The Walk. 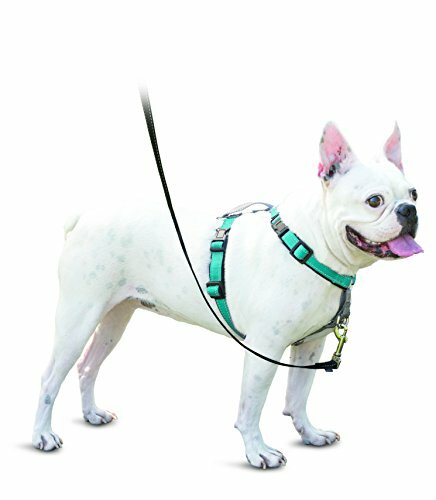 If your dog pulls on a leash, positive reinforcement trainers recommend buying an Easy Walk harness (front-clip harness), or Head Halter (Gentle Leader). Using a prong/choke/shock collar to ‘correct’ this behavior can have long-term implications for your dog. It can lead to fear, anxiety, stress, and aggression, which can take a long time to modify. We can help teach your dog to walk politely on leash. See our in-home services above. You Deserve a Certified & Qualified Dog Trainer. Armed with one of the most respected and rigorous educational backgrounds in dog training today, Vivi at VivaPaws is a graduate of the prestigious Karen Pryor Academy for Animal Training and Behavior. She is the first Professional Dog Trainer in Charleston to have earned the designation KPA CTP (Karen Pryor Academy Certified Training Partner). You can rest assured you are working with one of the best and most competent in the field who utilizes only positive, force-free, scientifically proven methods and techniques. We write up-to-date dog training articles to help with the most common dog training issues our clients experience, and provide resources specific to dog training and canine wellness in South Carolina.